Nantes is the capital city of the Pays de la Loire region and the département of Loire-Atlantique. It is located on the delta of the Loire, the Erdre and the Sèvre Rivers, about 50 km from the Atlantic Ocean. 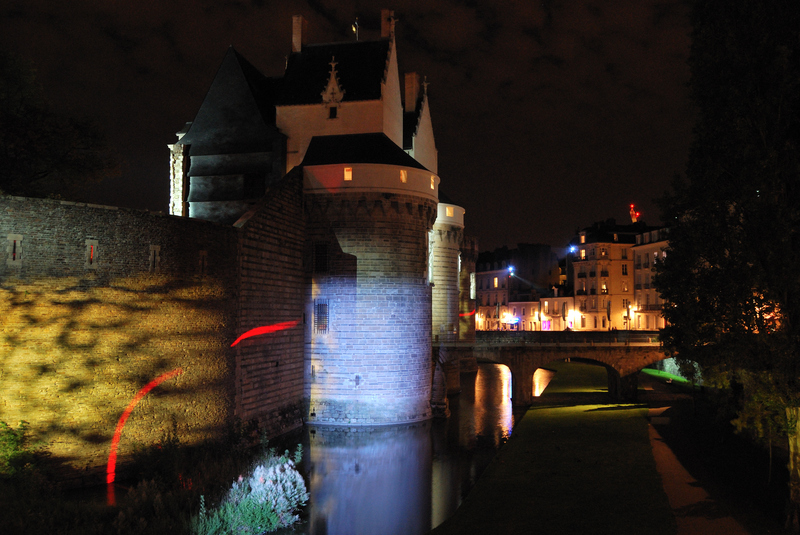 In 2004, Time magazine described Nantes as the ‘most liveable city in Europe’. The city also holds the title of ‘Green European Capital’ for 2013. Nantes is the sixth largest city in France and the largest city in the western part of the country, ahead of Bordeaux (9th) and Rennes (10th). According to the most recent figures from 2010, there are 284,970 people living in the city of Nantes and more than 600,000 if you include the metropolitan area. French people call them ‘les Nantais’ and ‘les Nantaises’. Even though some prehistoric items, such as axes, have been found there, the history of Nantes begins during the Gallic period, with the Namnetes, a tribe which founded the city in 70 BC. When Britain was conquered by the Roman Empire, many British people fled to French Brittany. That is why, from 850, after the death of Charlemagne, there were many battles featuring the Kings of France and the chiefs of the Bretons’ which took place in the Duchy of Brittany. Nantes finally fell in 1488 and in 1532, under the reign of Francis I, the Duchy of Brittany was united with the Kingdom of France, thanks to Claude de France (wife of Francis I and daughter of Anne of Brittany who was the previous queen and the last duchess of Brittany) who donated the Duchy to her husband. Nantes was also at the heart of the religious war in France. It was one of the last cities to recognise King Henry IV. Nevertheless, the edict which put an end to the troubles between Catholics and Protestants, was signed by Henry IV in Nantes in 1598 and is known in French History as “l’Edit de Nantes” (the Edict of Nantes). One century later, in 1685, Louis XIV revoked the Edict in order to restore the supremacy of Catholicism, the basis of his divine right to power. 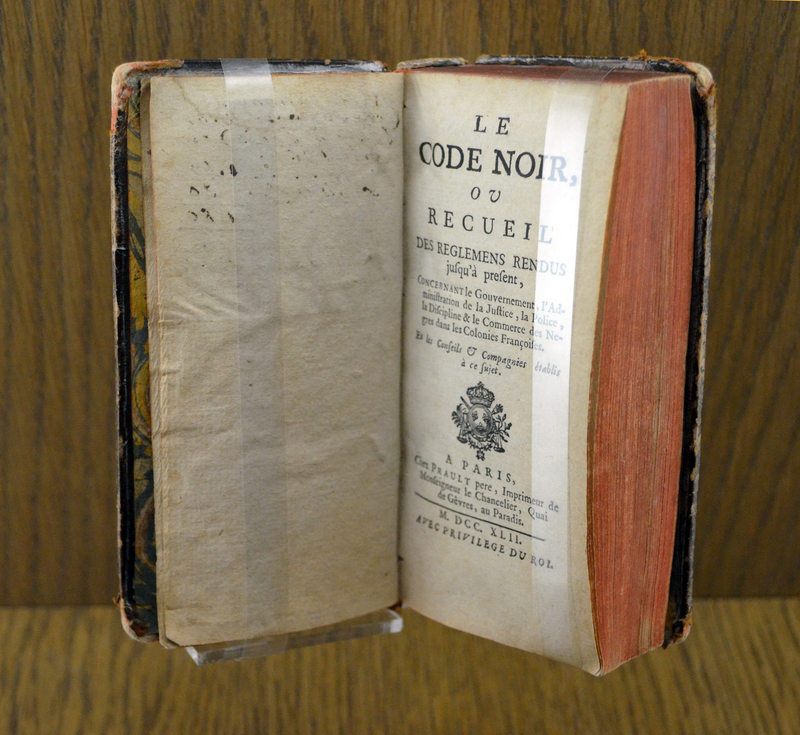 In addition, the Sun King promulgated “le Code Noir” (Black Code) which legalised slavery and the slave trade. To some extent this helped in the development of the city. Indeed, even though the region’s administrative services were located in Rennes, Nantes, thanks to its geographical position, its harbour and its key role in ‘The Triangular Trade’, was able to grow and soon became one of the biggest harbours in Europe. Nantes’ involvement in the slave trade, while being the main reason for the development for the city, also led to a tragic episode for the city. The slave trade was initiated in Nantes and Nantes was the last harbour to facilitate it. It ended in 1831, only 17 years before the abolition of slavery in the colonies (1848). During the Revolution, Nantes played a major role, especially when the rebellion in the Vendee broke out in 1793. Nantes was at the centre of a violent battle on the 29th of June 1793 which ended with the victory of the Republican army against the rebels. During the 19th century and the industrial revolution, thanks to the prominence of agriculture in the area, the city specialised in the agribusiness sector. At this time the well known biscuit company ‘Lu’ was established. The first half of the 20th century was a difficult period for the city, not so much because of the First World War, but because some parts of the city were submerged several times by the Loire River. As a consequence, the city council started to restructure the city and to improve the safety of some neighbourhoods. During the Second World War, the city of Nantes was at the heart of the French Résistance. On 20 October 1941, the “Feltcommandant” Karl Hotz was shot during an operation led by three French resistance fighters. As a reprisal, the Nazis chose fifty hostages who were shot 2 days later on 22 October 1941. One of these hostages was Guy Mocquet, a 17 years old communist. He remains famous and nowadays embodies the French Resistance. A few hours before his death, he wrote a poignant letter. In Nantes a square has been name after the fallen hostages : “le cours des 50 otages”. After the war, the city grew fast and became the first city in France to have a modern tramway network (1985). Four years later, the TGV (Train à Grande Vitesse – High speed train) arrived in Nantes. In 1991, the Pont de Cheviré (Cheviré Bridge) was finally constructed over the Loire River, completing the ring road of the city. At the end of the 1990s, Nantes was the first city in France in terms of expansion and development: its harbour has become the fifth most important in France. Nowadays, Nantes is known as the most dynamic and attractive city in the western part of France. Moreover, the city has a reputation for being a green city, always looking for improvement in terms of reducing pollution. For example, the city has recently created a network of “busways” (part of the policy encouraging the inhabitants to adopt the habit of using the public transport system). in addition to the usual bus network, the advantage of the “Busway” is that those buses use a separate and reserved lane, allowing an easier traffic flow and avoiding traffic jams for users. As mentioned before, Nantes was for a long time the capital city of the Duchy of Brittany. During the Revolution in 1789, the separation of the historical provinces of France resulted in Brittany being split into five regions; the lower of the five, Loire-Inférieure (today known as Loire-Atlantique) was where Nantes was situated and was detached in 1955 to constitute the region Pays de la Loire which unites four other departments: Mayenne, Sarthe, Maine-et-Loire and Vendée. Therefore, administratively speaking, Nantes and its area do not belong to Brittany anymore. Nevertheless, the Breton influence remains, in terms of culture with the obvious Castle of the Dukes. Even though debate has continued, the question remains: Does Nantes belong to Brittany? Those in favour of the reunification maintain that Loire-Atlantique and Nantes are culturally, historically and geographically united to Brittany whereas those against it claim that a reunification would create a negative and non productive concurrency between the two historical capital cities: Rennes and Nantes; and that it would be dramatic for the Pays de la Loire region, in economic terms. Nevertheless, in recent years, many bilingual plaques have appeared on tourist attractions in the city, with the help of the Ofis ar Brezhoneg (Office de la Langue Bretonne – Office of the Breton Language) and most recently, in 2004, a hastily organised demonstration in Nantes calling for the reunification of Brittany attracted 6,000 participants. However, the importance of the language in the process of identification of a population to a group is less and less relevant. Indeed, the Breton language is declining and in 2008 only 1.4% of the children in Nantes attended bilingual primary schools. Also, the idea of reunification is mainly expounded by a minority located in Brittany and the majority of the population does not consider this issue a major one and are satisfied with the status quo. To conclude, there is not much chance that the reunification will occur, especially because Nantes would be administratively combined with Rennes, which would not profit either city. The Old City grew up at the junction of the two main rivers: the Loire and the Erdre. Therefore, the city centre, the historical centre of Nantes, is rather small but overflowing with various buildings, parks and other monuments. On the left side of the Cours des 50 Otages, each step will bring you to another magnificent building. 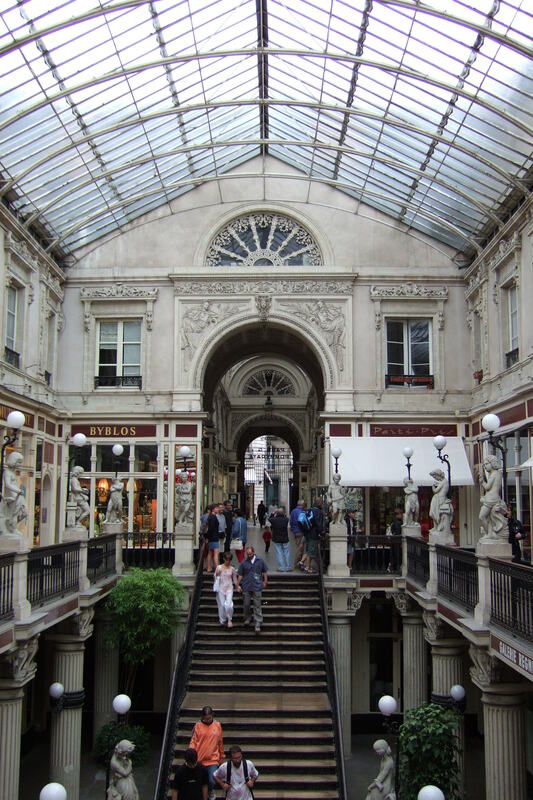 Nowadays historic buildings such as the former Palais de la Bourse (Stock Exchange), restored during the 20th Century and now occupied by a FNAC store, have been converted into big stores. If you cross the Place du Commerce (Commerce Square), heading towards the north, you will reach, within a few steps, the Place Royale (Royal Square), another beauty of the City. Here you can take some nice pictures of the blue granite fountain with different sculptures symbolising the four rivers: the Erdre, the Sèvre, the Cher and the Loiret; a marble statue at the top, representing the City of Nantes, armed with the trident of Neptune, the Roman god of the seas and the oceans, which reflects the harbour city. Then, follow Crébillon Street and you will reach Graslin Square (Place Graslin) and its theatre, named after Jean Joseph Louis Graslin, a very important public figure at the end of the 18th Century who extended the city centre of Nantes and built the theatre. This square might remind you of some places in Paris. After a long walk in the direction of the Cours Cambronne you can lie down on the grass and rest for a while under the trees. Finally, retrace your steps towards the Royal Square and turn right on Sauteuil Street, just far enough to reach the entrance to Passage Pommeraye. Here, you will be charmed by the decor, full of colours, and we bet that you will not be able to resist some French patisseries! The Passage Pommeraye is a real piece of pleasure and can be a good option in case it rains. At the end, you arrive on La Fosse Street which will bring you back either to Royal Square or Commerce Square. Back to the Cours des 50 Otages, if you continue your walking tour on the right hand-side of the historic centre, you will discover the Cathedral, Cours Saint Pierre (Saint Peter avenue), the Musée des Beaux-Arts (Fine-arts museum), the Jardin des Plantes (Botanical garden) and last but not least, the Castle of the Dukes of Brittany. From the Royal Square, continue on Orléans Street (rue d’Orléans), cross the “Cours des 50 Otages” and continue on La Barillerie Street (rue de la Barillerie) then on La Marne Street (rue de la Marne), where you can drop by the Galeries Lafayettes for some shopping. Five minutes from here is St Peter’s Cathedral (Cathédrale Saint Pierre) the construction of which took more than 450 years! Take some time to walk around the Cathedral. With a bit of luck, you might find the fairground on Cours Saint Pierre which is always a good place to chill out and meander around the many roller coasters. From here, if you want to see the Castle, head south, following Cours Saint Pierre. It will not be long before you see the Castle, just to your right. The Château des Ducs de Bretagne is definitely worth a visit. It is one of the most famous monuments of the city, a symbol of the former power of the Duchy of Brittany whose capital was Nantes and which even today creates some tensions or debates about the affiliation or not of Nantes to Brittany. If you are more interested in arts, do not miss seeing the Musée des Beaux arts, located on Georges Clemenceau Street, perpendicular to Cours Saint Pierre in front of the rear entrance of the Cathedral. Follow the street and you will reach the Museum within a few steps. Keep walking until you reach the Jardin des Plantes, a stunning place, full of colours during summer and autumn. It is an ideal place to read a book or simply to relax. Just like “’île de la Cité” in Paris, Nantes also has its island which has been shaped by the Loire River. Indeed, the Island is comprised of several small islands which were joined as a result of a filling process at the end of the 19th Century. This piece of land of 337 hectares, called “île de Nantes” is an important part of the city, which combines many dynamic places such as the factories and museums of Les Machines de l’île and the shopping centre of Beaulieu, a piece of modern architecture which attracts a lot of people due to its size and its location, right at the entrance of the city, when you come from the south. Also, the île de la Cité is one of the centres of Nantes’ night life especially the “Hangar à Banane” (banana depot), a bar/night club spot loved by students. Also famous in the neighbourhood are the Buren Rings (les anneaux de Buren), located on the Antilles wharf (Quai des Antilles) far west of the island. Daniel Buren wanted his rings to symbolise the chains of the slaves and also the idea of union between the land, the river and the ocean. 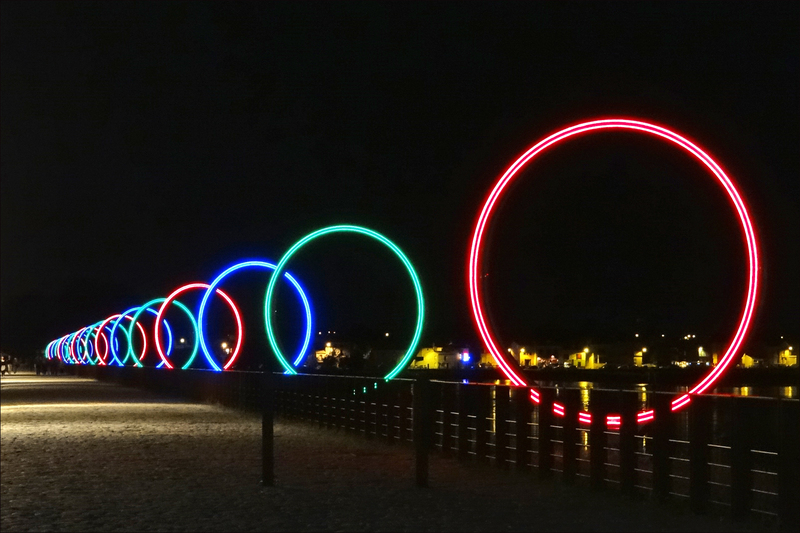 At night, the Rings of Buren light up, their colours varying between blue, green and red. The île de Nantes is also well known for the new Law Court (Palais de Justice) building facing the northern part of the city, the Loire River as well as the Memorial to the abolition of slavery, recently opened. This official building was designed by the famous architect Jean Nouvel. Finished in 2000, the new Law Court is different from other traditional Law courts in the main cities which are often roman style buildings. Jean Nouvel kept to the tradition and idea of pillars but added a modern touch, creating a beautiful building, well integrated into the natural environment of the island. The Island is linked to the city by ten bridges: six on the north side and four on the south. Pedestrians can reach the île de la Cité from the Old Town via Victor Schoelcher footbridge. Nantes’ Botanical garden is one of the biggest in France. It was created by King Louis XIV for his apothecaries. After him, Louis XV, in order to develop the park, asked his different fleet admirals to bring new plants from their long trips around the world. As well, Nantes’ botanical garden was created in its current form by Jean Marie Ecorchard, a botanical teacher named in 1836 as chairman of the botanic sector. He did a lot of work to enlarge the Park, making it more accessible and he also he developed its collection of plants, trees and flowers. Nowadays, the Botanic Garden contains more than 11, 000 types of plants and an average of 70 000 every season, among them many Camellias, the symbol of the city. This place, located near the train station on Stalingrad Boulevard, is a really nice place to chill out after a long journey and to enjoy the return of spring! The Castle of the Dukes of Brittany is the main symbol and main monument of the city. The first ducal residence was built during the 13th century. Francis II, the last duke of an independent Brittany during the early 15th century demolished this residence to build the castle both as a ducal residence and a defensive place against the King of France. His daughter, Anne de Bretagne continued to extend the castle and actually embellished it. Her influence can be seen in the sculptural décor such as dormer windows on the main residence, the Golden Crown Tower (Tour de la Couronne Dorée), all marked by early signs of the Renaissance style, emerging in Italy. After the integration of the Duchy of Brittany into the French Kingdom, the castle became the Breton residence of the kings and later an arsenal and a prison. 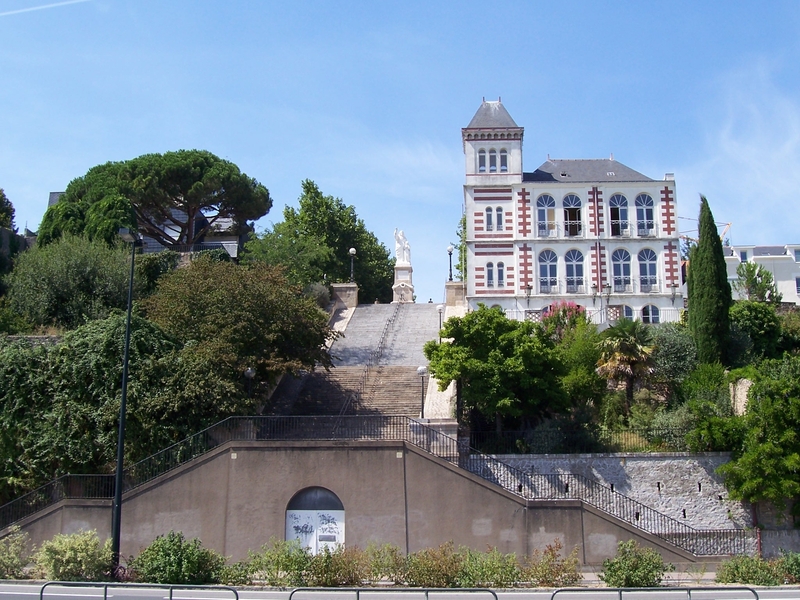 The castle was listed as an historical monument in 1862 and was sold to the city of Nantes in 1915. 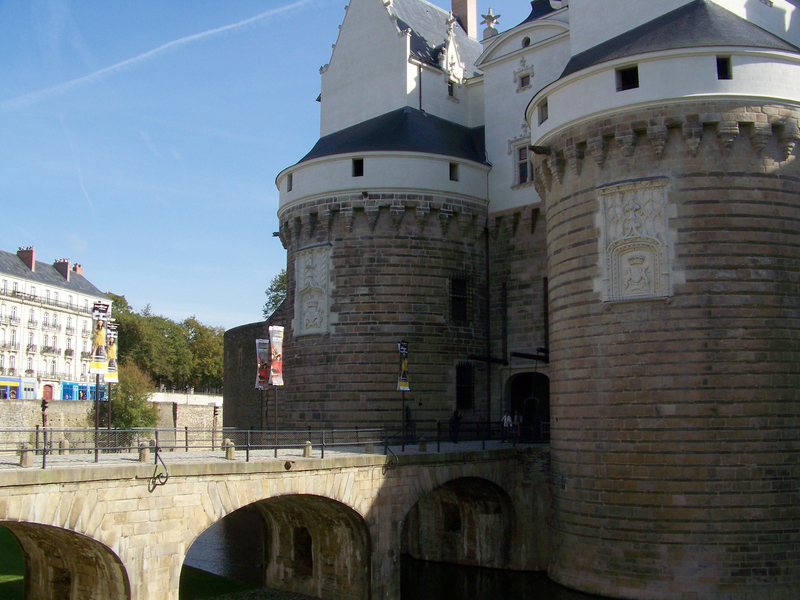 The tours du Pied-de-Biche et de la Boulangerie (crowbar and bakery towers) flank the main entrance of the castle and protect the drawbridge. You can see the coats of arms of the Duchess carved on the Boulangerie Tower (the right one on the picture). Once inside, you can admire the Grand Logis, built by Francis II in 1466, the place where the Dukes lived. 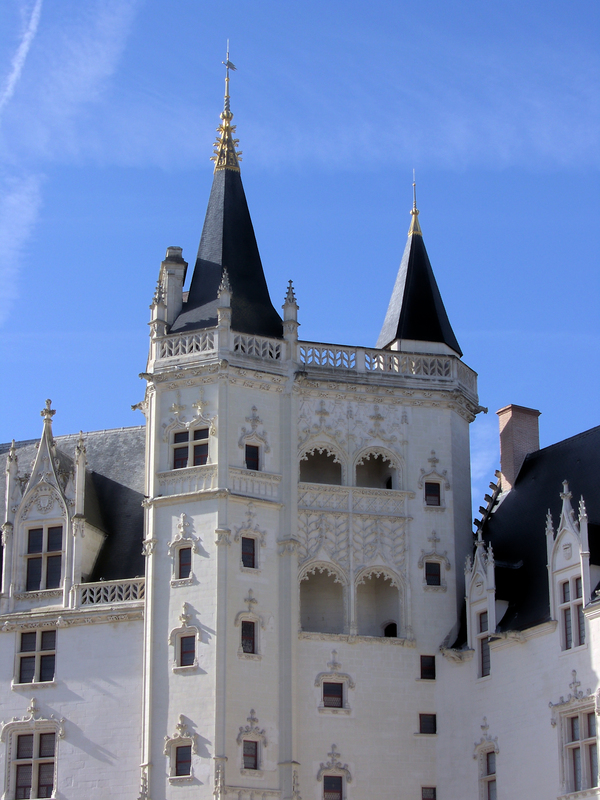 The dormers were created by Anne and show a porcupine (the symbol of Louis XII) and a Greyhound (the symbol of the Duchess Anne) face to face, which symbolises the union of the Duchy with the French Kingdom. La tour de la Couronne d’Or (Golden Crown Tower) links the Grand Logis to the Grand Gouvernement. This was a completely new architectural element and symbolised the ducal crown. It was most of all a place to relax and observe the daily life of the castle, the different shows in the courtyard, via four rooms open to the outside.Le Grand Gouvernement is a part of the castle which was rebuilt under the reign of Louis XIV, due to a fire and named after Charles de La Porte who was the Governor of Brittany. On 25 May 1800, a violent explosion destroyed the Tour des Espagnols (Spaniards Tower) leaving a hole in the rampart. The repaired wall made of schist is visible because of its darker tone. The foundations of the Tower are still visible in the moats. Finally, the Petit Gouvernement was built under the reign of François I and was used as the residence of French Kings. the 500 metre walk along the battlements where you will enjoy various different views of the city or views of different parts of the castle. its beauty at night when the Castle is lit up. The Machines de l’île is an artistic, touristic and cultural project founded by François Delarozière and Pierre Orefice. 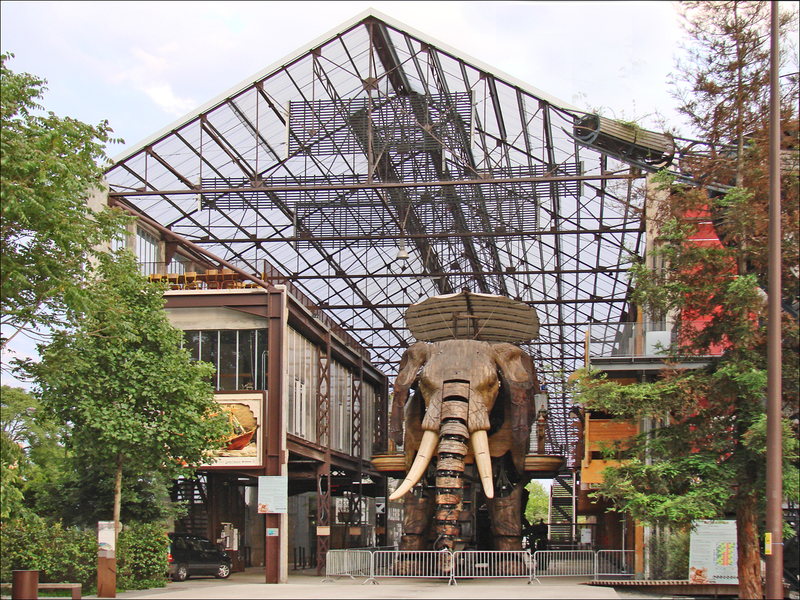 This place, located on île de Nantes, combines both a museum, with the exhibition of various machines and an entertainment centre, with different activities offered to visitors: discovering the workshop of the company or enjoying a tour of the factories, on board the most famous and the biggest of the machines: the elephant! The machines are built from wood and steel, a symbol of a company which seeks to combine the fantasy and adventurous universe of Jules Verne with the mechanical world of Leonardo Da Vinci. These machines are a symbol of the city and its successful modernisation. In fact, the Machines de l’île occupy former disused shipyards. This place is certainly worth a visit! The Musée des Beaux-arts of Nantes was built in 1801, at the direction of the Consul Napoléon Bonaparte, along with 14 others in different cities in France. It is one of the most important (Paris excluded), together with those of Lille, Toulouse, Rouen, Bordeaux and Lyon. Its architecture is remarkable; the outside is inspired by roman architecture, recognisable in the famous columns. However, the inside is a mixture of different styles, combining the old style of architecture and modernism, especially with the glass roof which covers the patio, the core of the museum. In addition, another masterpiece of the Museum is the monumental marble staircase leading to the first floor. In terms of its contents, the museum is filled with different sculptures and paintings, provided by the Louvre museum, works purchased by the City, or by other museums thanks to various partnerships. Inside the Musée des Beaux-arts, you will find different collections, from Ancient Paintings (13th to 18th century) to Modern Art (19th and 20th century), which includes various famous painters such as Rubens, Watteau, Delacroix, Monet, Picasso, and Renoir. The Museum has been closed for renovations since 2011. Unfortunately, due to the discovery of underground water, the Museum will not reopen until 2016 for the exhibitions and in 2018 for the rest of the building. Nonetheless, the Museum currently runs various exhibitions in different locations in Nantes. 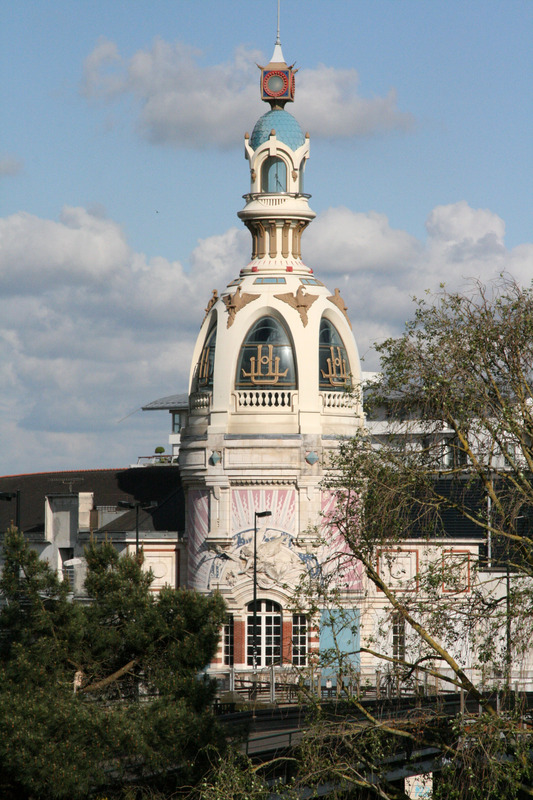 Find more details about Nantes’ Fine Arts Museum here. The above details the places that you must see if you visit Nantes. Nonetheless you will be surprised by the variety of museums, exhibitions and little details that you will easily find, walking around in the city. You might be interested in Jules Verne’s museum, the famous French writer born in 1828 in Nantes. Among his famous books, 20 000 Leagues under the Sea and Around the World in Eighty Days, are definitely the most popular. His life in Nantes, a city close to the ocean, open to the rest of the world, inspired him to write these books. For those who are more interested in music and concerts, Nantes also has a large auditorium, called “Zénith”, located near the ring road in Saint Herblain in the western suburbs. 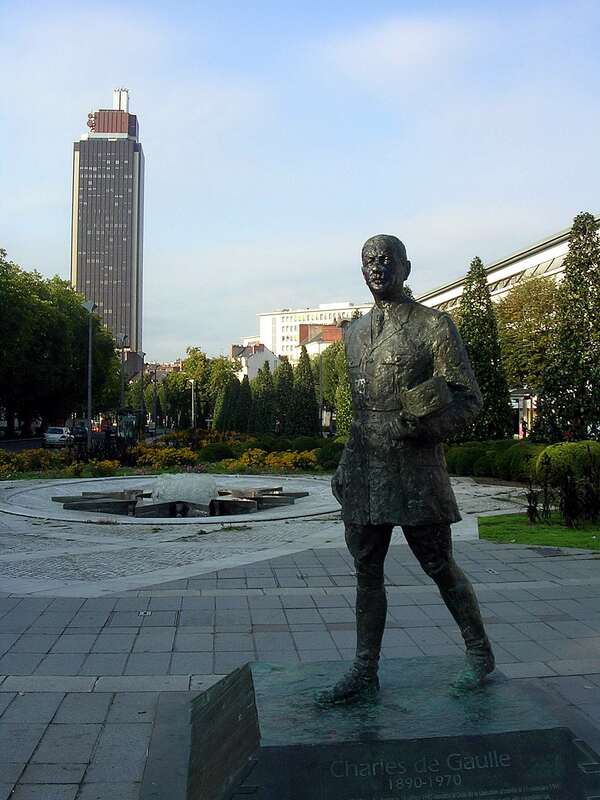 The Zénith hosts various events such as big concerts but also one man shows and important ballets. Moreover, every year, Nantes holds a classical music festival called la “Folle Journée” (crazy days). In 2013, the theme was “L’Heure Exquise” which celebrated the connection between Spanish and French classical music from 1860 until now. Finally if you are a fan of soccer, you will enjoy a game at “La Beaujoire”, the stadium built for the World Cup in 1998 and currently hosting Nantes’ soccer team, one of the most famous French soccer clubs, which has won height French league titles. The main colours are yellow and green, which explains the nickname of “les Canaris”. The stadium is located near the ring road on the north-east of the city. It is really easy to reach Nantes by car, aeroplane or by train. If you are flying, there is an international airport in Nantes (Nantes Atlantique), with a well organised system of shuttles which will take you into the city centre in 30 minutes. Nantes is only 1 hour 15 minutes flying time from Paris Charles de Gaulle. To Paris (less than 4 hours following the A11). To Bordeaux, via the Vendée, within 3 hours, following the A83 and the A10. To Mont Saint Michel and Normandy, via Rennes, following the N137 then the A84. To get more information about Nantes, you can visit Nantes’ tourism office website. Next Article Is the Tuileries Garden in danger?